The Democratic People’s Republic of Korea Secretariat of Foreign Affairs has received your insulting and provocative note dated April 19, 2013. In this note you dare to suggest that officials of our Government “negotiate” with you about “denuclearization” of our Country. The nuclear program of the Democratic People’s Republic of Korea, specifically including our nuclear weapons program, is solely a matter for our Government. We will not tolerate even the suggestion of interference, and regard your suggestion that this might be a matter of negotiation as an unfriendly act, a threatening act justifying a warlike response by our Government and People. Indeed, it is to protect our Country and our Revolution from your aggression that we have developed nuclear weapons in the first place, and we will never give them up. Be warned that any further mention of this imperialist meddling suggestion will be regarded as a deliberate provocation and indeed an act of war. In such a case we reserve the right to retaliate against you and your puppet regime in the south of our Country with the full range of conventional and nuclear weapons available to us, which will certainly result in your Country perishing in a firestorm of fury. I have your insulting and wholly unacceptable note complaining about the shooting of your general Hassenpfeffer while he was engaged in deliberate and threatening provocation and aggressive action against the security of the Democratic People’s Republic of Korea. Far from apologizing for shooting your general, I take satisfaction in promising a similar swift and humiliating death for any others of your soldiers who attack, or threaten to attack, our peaceful Republic. We will be pleased to shoot as many more generals as you send to provoke us. Bizarre as the following letter may sound, it is not all fiction – the Pakistani Supreme Court did indeed order Prime Minister Raja Parvez Ashraf to write a letter to the Swiss authorities demanding prosecution of President Asif Ali Zardari, on pain of removal from office, despite Zardari’s immunity from prosecution. I wondered how the Prime Minister might write such a letter and still preserve his honor. I made this point to the Supreme Court, but they have ordered me to write this letter anyway. 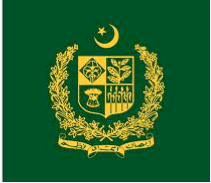 Therefore, to comply with that order, I hereby request that you resume the prosecution notwithstanding President Zardari’s immunity from prosecution. I knew there had been friction between Ron and Maggie over this, but just how much I was not aware when I wrote this fictional letter. I now see that there were a lot of words exchanged at the time, increasingly sharp ones on Thatcher’s part. Even though this is a fictional letter, the words I put in Thatcher’s mouth express exactly her sentiments, and my own. I note that a referendum was held, in March 2013, and with a 92% turnout the islanders voted 1513 to 3 to remain British. I was very saddened to read in your last communication that you suggested sharing sovereignty of the Falkland Islands with the Argentine invaders. Any such action is of course entirely out of the question, so far out in fact that I would be grateful not to hear about it again. The idea that the Argentines should be rewarded for their criminal invasion of our territory, where the people are and wish to remain British, by giving them half, or indeed any portion at all, of what they sought to gain by it, should be offensive the everyone who values the rights of man. It should be offensive to you in particular, and on reflection I’m sure you will see it this way too. Suppose the Japanese invaded Hawaii (it has happened before). Should the American response be a power-sharing agreement? Anyway, we have not sent our forces halfway around the world, without help from anyone, and lost a number of them and a warship too, to compromise. We will not compromise with crime. The invaders must be expelled, and we will expel them. After their surrender we may consider a referendum in the Falklands, which we are confident will prove once and for all that the Falkland Islanders reject Argentine aggression and remain loyal to Her Majesty the Queen. That should be dispositive of any Argentine claims. Nearly 30 years after the war, wusses were still after the British to compromise on the self-determination of the Falkland Islanders. It was just as disgusting a position in 2011 as it was in 1982. I have your communication suggesting talks with Argentina on the question of the sovereignty of the Falkland Islands. It is unfortunate that I have to remind you that there is no such question. The Falkland Islands are a possession and dependency of the United Kingdom. This is settled and not open to discussion. The people of the Falkland Islands are overwhelmingly of British nationality, and British sovereignty over their islands can only be modified at their instance and with their consent. We fought a war over this once, and will do so again if we have to. 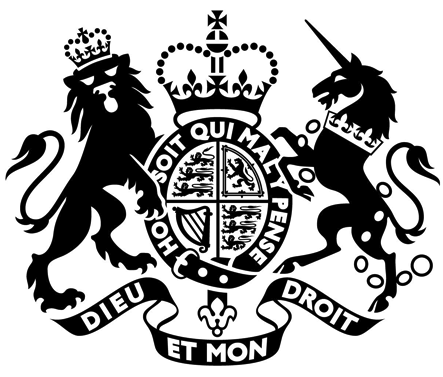 Please be warned that any further attempt by anyone to suggest that the sovereignty of the Falkland Islands is a matter for discussion or debate, other than by the people of the islands themselves, will be taken by Her Majesty’s Government as a deliberate provocation against the United Kingdom, and as an insult to Her Majesty the Queen. We will entertain no further communications on this matter and do not wish to hear of it again. Down with Assad, of course. And I found some lovely logos on Google Images! This will confirm our meeting at 10:00 AM Friday March 31, 2012, at the Damascus Sheraton. I warn you in advance not to present any plan that does not provide for the immediate removal of the viper Bashar al-Assad and his family from the government of Syria. After what has happened, our council will never accept the continued participation of the Assad family in government, nor will we discuss any plan that allows for such participation. If any such plan is presented, it will signal to us that the talks are not a serious attempt to resolve the crisis, and we will leave at once. This is not a posturing, but an absolute promise and commitment. The moment any such suggestion is made, we will leave the talks rather than discuss it. If you cannot present a plan that does not include the viper Assad or his family, then negotiations under your auspices will have to wait until you can. We will fight and if necessary die before we will even discuss retaining the Assad dynasty in power. We thought you should understand this absolutely adamantly immovably final non-negotiable position before spending time on any proposal that would be unacceptable at the threshhold. We do not insist that the Assad family leave the country – we would be willing to have them stay and face prosecution. I have your letter of yesterday’s date proposing a settlement of the political crisis in Syria. There are many interesting items in your proposal which we could consider. However, consideration of your proposal is impossible in its present form because it provides for Bashar al-Assad’s continuation in office during a “transitional” period. Given the continuing responsibility of Bashar al-Assad for tens of thousands of deaths, the torture and injury of many times that many, and the destruction of the material and social fabric of life in our country, no proposal that includes any role for him in our country whatever, except as a prisoner, will ever be considered. The very suggestion is deeply offensive and disrespects the blood of our martyrs. We will not ever consider any aspect of any proposal which contains such an element, but will reject it and return it as a pollution of dialogue. Even to reject this term but consider the rest of the proposal would make it a part of a negotiation. We will not enter any negotiation about a document that includes such a term, and will leave any conference where it is even uttered. If you wish to send us a proposal that does not include this term, and we hope you will, then we will consider it, and view progress as not impossible. American military forces in Afghanistan, and contractors in Afghanistan in support of their work, will be withdrawn from the country as quickly as is consistent with their safety. I find no prospect of further gain from their continued deployment there sufficient to justify the risk, expense, and distortion of our world-wide military posture. All missions of the American military forces and associated contractors, except withdrawal and protection of the withdrawal effort, are hereby suspended. American diplomatic personnel and sufficient military forces to safeguard their security are exempted from this order. Other civilian programs in Afghanistan will be evaluated promptly and all inessential programs, and programs not justifying their expense and risk, including embassy and intelligence functions not directly concerned with diplomacy, will be discontinued and their personnel withdrawn. And if that means no more lolly for Karzai and his gang of thieves, well, tough nuggies then.